... love those little tulips. 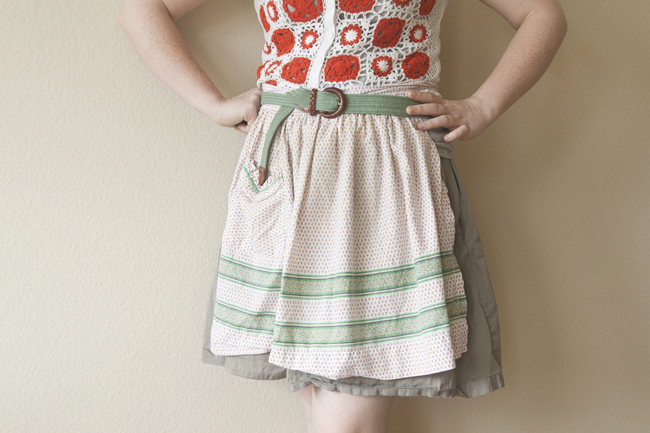 (Apron $3, belt $2.) 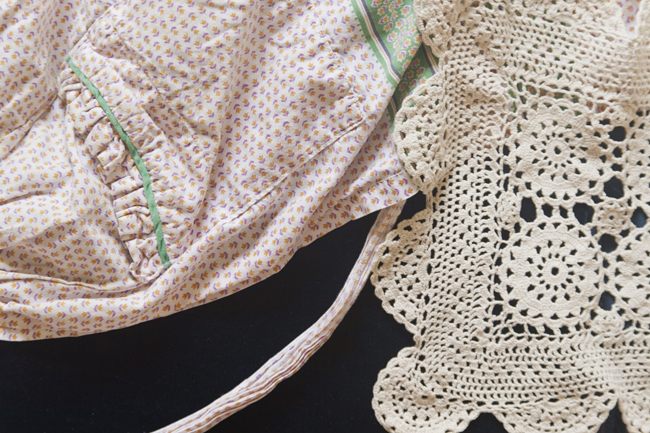 No, I wouldn't wear the apron for anything but cooking, and yes, I bought another doily. (Those are clearly related thoughts...) Just FYI, my doily collection is getting overwhelming in that it's overwhelmingly awesome.